This is a guest post by Luke Douglas. He is the Executive Director of the Humanist Society of Greater Phoenix. The Gallery quieted as the Speaker’s gavel fell. 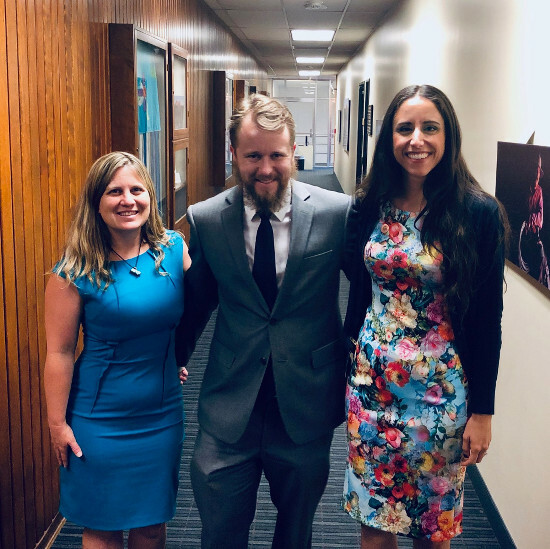 The Arizona House of Representatives came to order under the leadership of arch-conservative and Brigham Young University graduate Rusty Bowers. If the last time an openly atheist legislator gave a humanist invocation was any example, I was prepared to watch sparks fly. I could just begin to see see from my seat above the chamber that some of the representatives were more in tune than others with how much Arizona has changed for atheists. And how quickly it continues to change. A humanist celebrant from Tempe, Robert Peoples, delivered a beautiful invocation without reference to God. Then, in a twist I had learned about just minutes before, Representative Athena Salman, who elicited mockery for her own secular prayer earlier this session, introduced me to the House and asked me to stand. I made eye contact with the Speaker during the shout-out. He didn’t know that I’d only been offered this job the night before, but now he knows full well that humanists are on the march, and that I’m about to become his newest constituent. As a devout Mormon, he must be quite familiar with the power of organized religious communities led by professional clergy. But humanists forming their own church-like strongholds to fight back? That’s something the Religious Right is going to have to get used to very quickly. I’m not the only one who left the pews emptier than I found them, and I can’t be the only one wondering what’s next. Each year, millions of Americans leave organized religion. Thousands of empty churches dot the landscape as monuments to a gaping generation gap, and God knows how many more aging congregations are teetering on the brink at any moment. Hundreds of pastors and priests gather in online forums like the Clergy Project to commiserate about the fact that they, like so many who have left their sanctuaries, are no longer believers. The only difference is they can’t just up and leave. The void left behind in society with the fall of traditional Christianity comes with many positives as its regressive ideas lose influence and toxic power structures begin to unravel. But for many of us, it leaves an open chasm. The reasons I was drawn to the church as a child and young adult are still a part of me. I love communities built around shared values. I love the idea of organizations dedicated to literacy, to ethical reflection and philosophical teaching, no matter how much their narrow approach in practice betrays their potential. I respect the influence of full-time clergy dedicated to organizing these communities, teaching, inspiring, and promoting those values, be it for better or worse. Worse yet, emptying the pews also leaves former believers alone, detached from support structures and sometimes powerless against our far more coordinated religious counterparts. Many of us have asked the same question: Is there a way to recreate the positives of church culture for non-believers in a post-religious society? To steal their tactics, so to speak. Organizations, both old and new, are experimenting with this question around the country, and one of them has reached a major milestone. As of 2019, the Humanist Society of Greater Phoenix has employed a local full-time organizer in the United States, one of the few groups to have ever done so. Like hundreds of local secular groups around the world, the HSGP does everything from activism to philosophy meetups to support for the formerly faithful, all while being run entirely by volunteers. There, as anywhere, volunteer teams work their asses off to make humanist communities operate, but my years in activism have taught me the incalculable value of having just one dedicated staff member at the center of the operation to coordinate volunteers and be the public face of the movement. Their leap of faith came when they decided that a full-time Executive Director was the key to their future. They asked me to move to Phoenix to lend my eye as a veteran activist, a former fundamentalist, an attorney, a seminary dropout, and above all, a communicator. Though I’m taking them up on it, no words can express the stakes riding on this experiment. For non-believers everywhere, it’s a proof of concept. If a local humanist organization can mobilize and marshal the resources needed for a professional influencer, then their ceiling for organization, activism, and changing the culture around them will be shattered. 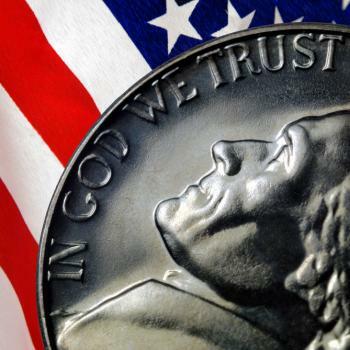 Secular communities everywhere will have their test case to turn their eyes to empty churches across the nation and closeted non-believers in the pulpit. God’s not in the gallery. But you know who is? Your boss. The voting public that you work for. And I was there on behalf of a growing number of those voters to show the politicians who think they speak for God that non-believers are prepared to mobilize, too. 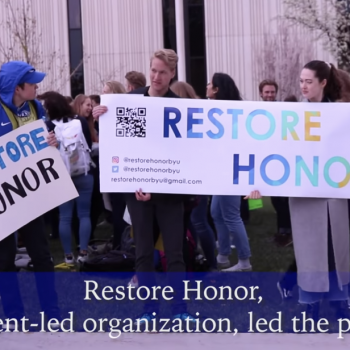 April 13, 2019 BYU Students Call for Leniency and Common Sense in Rigid "Honor Code"